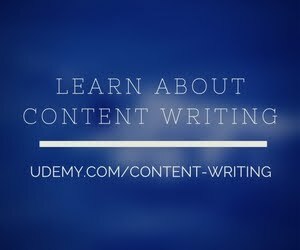 Content writing has become one of the most sought after jobs not only in India but all over the world. And the most amazing piece of information is that majority of content writing work is outsourced to India. Even though the term content writing has been used over and over again, there are many who are still blind to what exactly content writing offers. In simplistic terms, when you write for the web portal, it is referred to as content writing. Now even though that might not seem like a tough job to you, ironically it happens to exhaust one completely while he is at it. Content writing is not only a lucrative option for those who are pursuing a life in academics or homely activities, it is also well paying and gives you a feeling of self satisfaction as at the end of the day, you feel as consumed as a full time working professional does. It is believed that content writing involves 90% research and 10% original writing thus one thing you definitely need to be good at for content writing is research. There are certain things other than research that you need to be good at to be a successful content writer. You need to be calm and relaxed even though you will constantly be needed to race in order to match deadlines. After that you need to ask yourself three basic questions before you begin to write a content – who your target reader is, why must they read your content and not another and what this written content can generate. Content writing has become a great option for a job in India. It is such bloom that people from all over the world are outsourcing their content writing assignments to content writers in India. This is chiefly because Indian writers seem to have a great grasp over the language, outstanding vocabulary and a sincerity to meet deadlines.